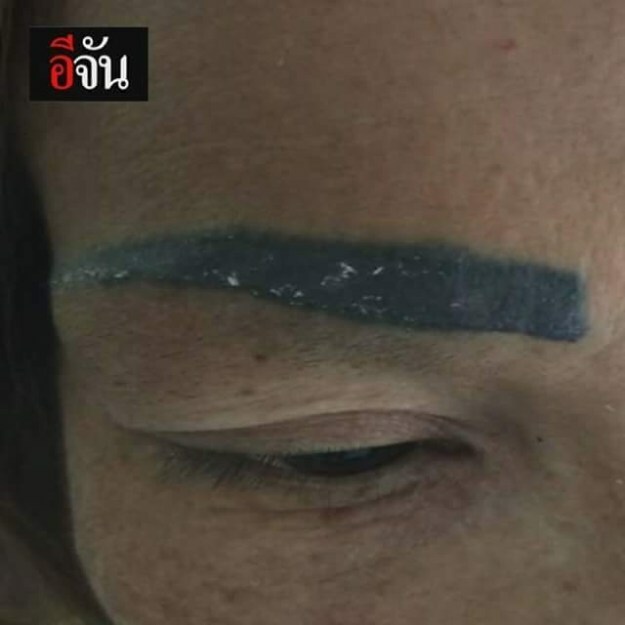 A lady of Thailand origin, identified as Evan, took to social media to show the result of her hunger for eyebrow tattoo that later went badly wrong for her. According to her, she paid just 200 baht (Thai currency) for the tattoo job that later became thick lumps that look so horrible like caterpillars. 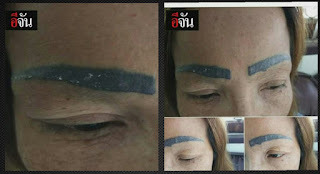 “I met the tattooist through work, He said he had done his wife’s and they looked OK. So for only 200 baht I thought why not. I never thought they would be that thick”. 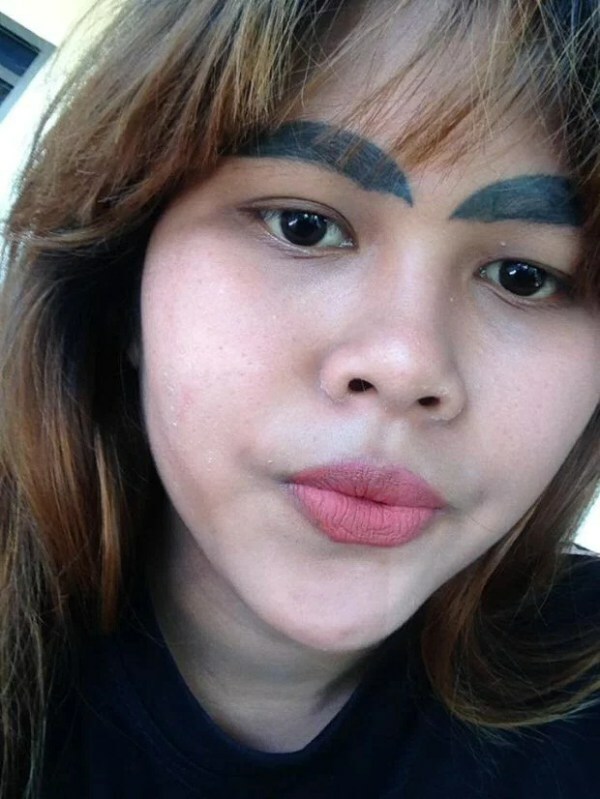 Ejan is not the only victim of an eyebrow tattoo gone wrong as there have also been similar cases in the past. 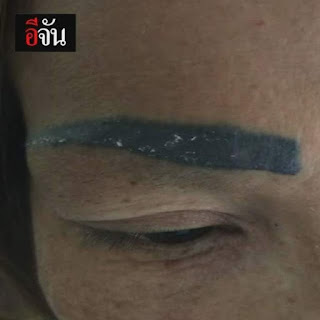 Kanyarat Chaichan, 26, was left with thick, black, strangely shaped brows thanks to a not-so-brilliant job by an inexperienced tattoo artist. Keen to hop on the full brows trend, Kanyarat had invested in tattoos to fill in her naturally light eyebrows. But things went a bit wrong. 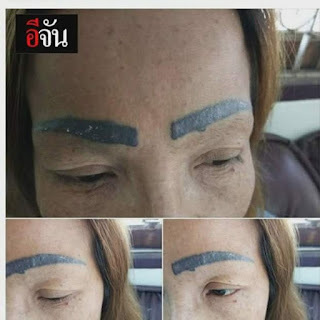 Sadly, Kanyarat knew she couldn’t afford to have her new eyebrows removed, so she decided to settle in and accept the 1cm wide slugs above her eyes.